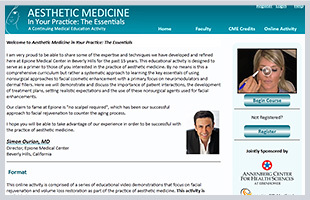 Aesthetic medicine has exploded onto the scene and in many ways has changed the face (no pun intended) of the practice of dermatology, plastic surgery, ophthalmology and other specialties. 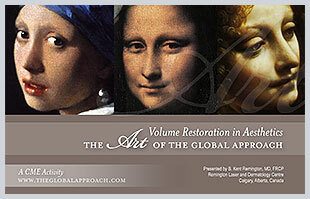 By definition, aesthetics is a very visual clinical specialty . . . and so should be the education related to it. 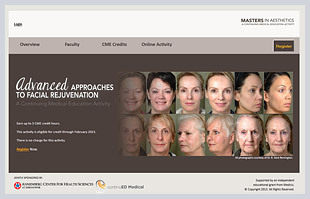 Here we've used the power of the web to develop e-based learning to teach the key elements of aesthetic medicine which are graphically supported through patient case videos, injection technique demonstrations, and expert opinion.